While Virginia residents are paying slightly less for their power than the national average residential customer in the U.S. (12.40 cents per kilowatt hour as of June 2018 vs. 13.02 cents nationally), you may not know that Virginians are paying an average of 9 percent more for their electricity than their neighbors in North Carolina and 17 percent more than those in Kentucky. On top of that, recent legislation allows Dominion Energy and Appalachian Power the ability to keep excess profits instead of returning them to customers so they can make investments in the power grid and in renewable energy. In 2017, Dominion Energy customers paid more than $365 million in excessive rates, while that number was $26 million for Appalachian Power. Those tidbits of information may make Virginians a little upset about the rate they pay for electricity. Wouldn’t it be great to pay yourself instead of the power company to power your home? Going solar allows you to lock in a monthly cost of your solar system while shielding yourself against inevitable rate increases that your power company will impose. Your savings become even greater once you pay off the system. In fact, the average homeowner who switches to solar will save tens of thousands of dollars over the lifespan of his/her system. 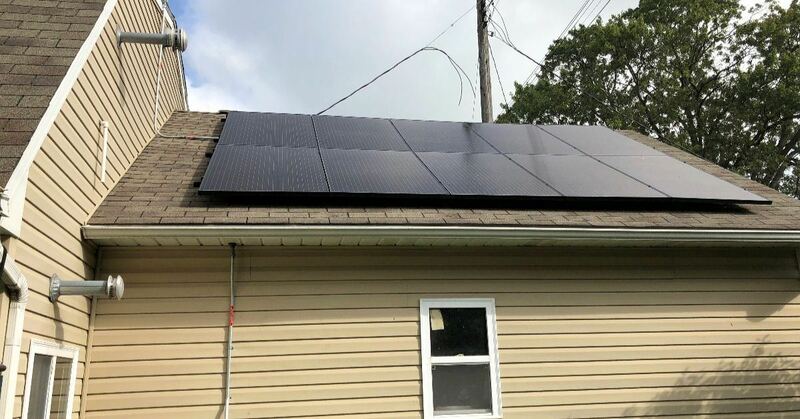 With our innovative solar program, Virginia homeowners can go solar for $0 up-front cost, save money on their electric bills, and generate their own clean energy. The solar panels installed on your home are American made and come with a 25-year warranty, with many panels expected to last well beyond that.